A lot of people do not understand how dangerous it can be to have too much sugar in juice drinks. Excessive amounts of sugar not only in food but also in liquids can be as hazardous as not drinking sufficient water. Why Is Excessive Amounts of Sugar Not Good? Sugar in general is a substance that is difficult to resist. Just like drugs, sugar can cause addiction, but not in an abusive way. Once you consume sugary foods, it triggers the sweet receptors on your tongue, transmitting signals to your brain that what you just eat is worth eating again. Excessive amounts of sugar intake causes levels of dopamine overdrive released in the brain, which causes you to lose control and enhance your tolerance to sugar. This means a risk to your health, because according to the American Heart Association, an ordinary working man should eat only 9 teaspoons of sugar a day, while a normal working woman should only consume 6 teaspoons of sugar per day. Too much sugar, particularly added sugar, is bad for your health because it makes you gain weight, it feels slow and could even worsen diabetes and lead to heart disease! Consuming excessive sugar than the body can burn leads the liver to pack it in the form of fats and deposit it to the bloodstreams causing clogged arteries. When our blood vessels are jammed, our blood can’t past through, causing the heart to do the difficult work of pumping hard. If you care for your health more than the pleasure of drinking your soft drinks and juices, you should start looking at the contents of your favorite drinks. Which Types of Juices Contain Excessive Amounts of Sugar? Lot of people, especially mothers, find it so easy to run in the local supermarket and pull any kind of juice out of the shelf and go. It's already a routine and there are no ways to avoid that. It's a matter of choice if you want to change those practices purchasing those popular juice drinks even if you knew how much sugar it has. Sweetened and soda drinks are high in sugar, which contains one-third of the sugars added. Added sugars are sweeteners added to food or beverages during processing or preparation, such as table sugar, brown sugar, confectioner’s sugar, honey, sugar cane syrup, maple syrup and corn syrup. They provide extra calories, but only give minimal to zero nutritional value. Examples of these drinks are flavored coffee and tea, fruit smoothies, energy drinks and carbonated or non-carbonated drinks. 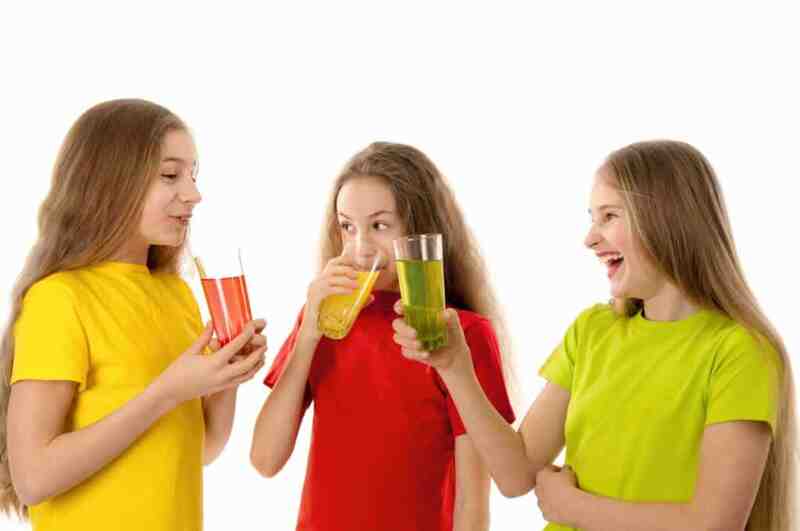 Many people believe that drinking juice is the only major pastime, especially for children, but that is far from the truth. There are many other substitutes for drinking, especially when it comes to pleasing your children. Some juice drinks are loaded with powerful antioxidants that work vigorously to recharge your body instantly and is enriched with vitamin C and Calcium and no added sugar. It tastes and nourishes like real fruit juices. Only few juice drinks have the necessary nutrients for your body and offers you all the good and none of the bad. It's time to change your favorite drinks with a healthy one.